William "Bill" Edward Dodd, Jr.
William "Bill" Edward Dodd, Jr. was the first child born to Dr. Willaim Edward Dodd, Sr. and Martha "Mattie" Ida Johns. 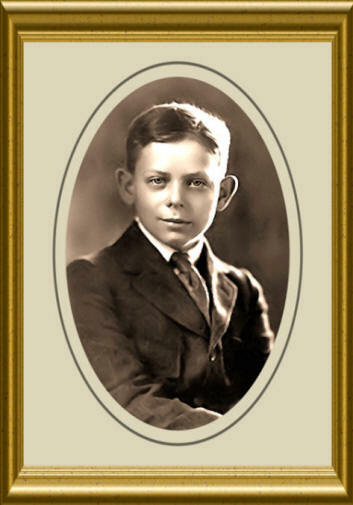 Bill was born 08 Aug 1905 in Hanover County, Virginia. 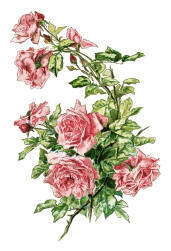 "Bill" Dodd had one sibling, a sister named Martha Eccles Dodd. The 1910 Census shows William and Martha/Mattie Dodd living in Chicago, Cook County, Illinois. 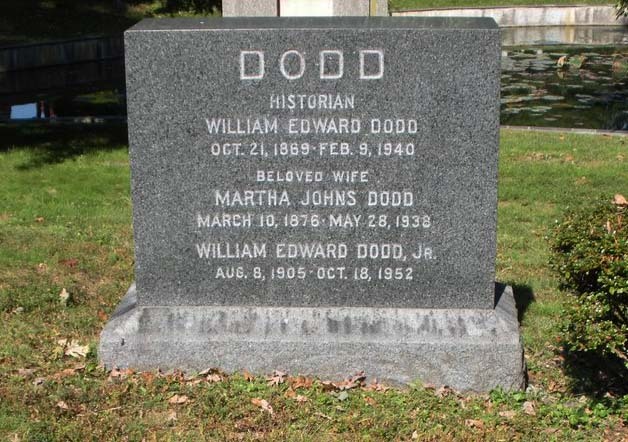 Son William "Bill" Edgar Dodd, Jr. was 4 years old and daughter Martha Eccles Dodd was one year old. The 1920 Census shows the Dodd family still living in Chicago, Cook County, IL. William "Bill" Jr. was 14 and daughter Martha was 11. Closson Ruth Lodger F W 30 S Yes Yes Indiana Michigan Indiana Asst. Chief Operator Telegraph Op. 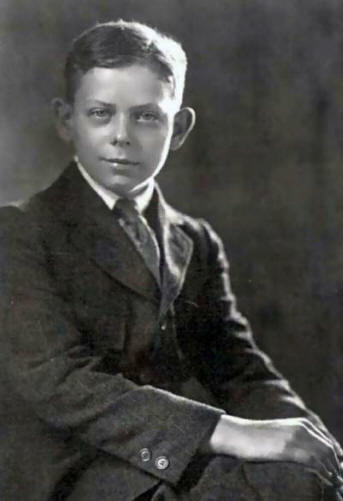 William "Bill" Dodd, Jr. received his bachelor’s degree from the University of Chicago where his father worked as a Professor of History, and his master’s degree from Harvard University. He taught history in Washington D.C., Rutgers, The College of William and Mary, and the University of California during his lifetime. 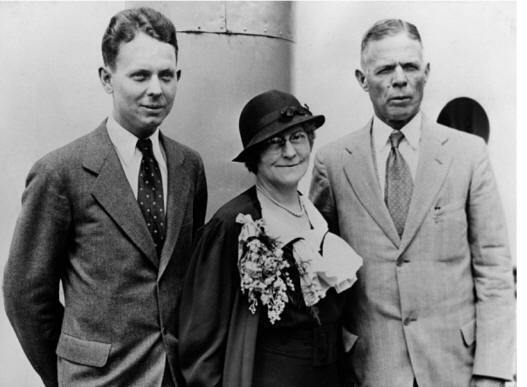 William "Bill" Jr. and his sister Martha Eccles had a close relationship with Daniel C. Roper, President Roosevelt’s first Secretary of Commerce. Some sources say that it was through William "Bill" Jr. and Roper, that William Sr. passed on to President Roosevelt his interest in receiving an ambassadorship. On 08 Jun 1933, President Roosevelt offered Dr. William Edward Dodd, Sr., the ambassadorship position in Germany. 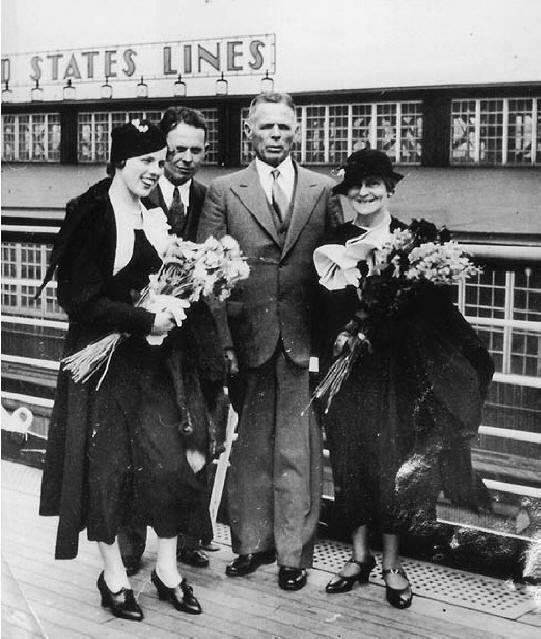 William, Sr., along with his wife Mattie, and two children William "Bill" Jr. and Martha, left for Germany on 05 Jul 1933. There is not much information about Bill Dodd's time in Germany, but we do know that his father, Ambassador William Dodd, was not altogether pleased with his position once he arrived in Germany. Ambassador Dodd advised Adolf Hitler in March 1934 that Jewish influence should be restrained in Germany as it was in the United States, "in such a way as to not give great offense." Hitler ignored Dodd's advice and responded that "if they [the Jews] continue their activity, we shall make a complete end of them in this country." In 1935, feeling ineffectual, Ambassador Dodd offered to resign, but President Roosevelt allowed him only a recuperative visit to the U.S. The President wrote to U.S. Ambassador to Italy in September 1935 that he and Dodd had been "far more accurate in your pessimism for the past two years than any of my other friends in Europe." 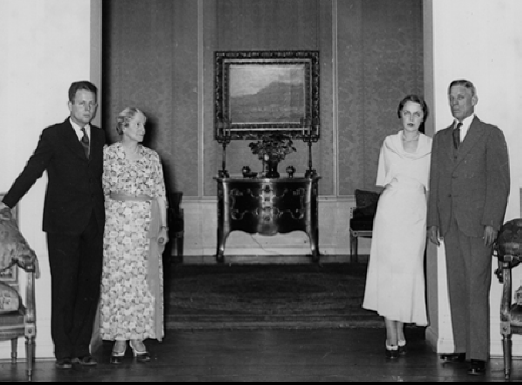 During his father’s tenure as Ambassador, William "Bill" Jr. and his father met with President Roosevelt in Hyde Park, New York. Bill’s mother, Mattie, tells him in a letter, “I think you should be getting a better salary at your time of life.” Bill was in his 30s with a Phd, but still relied on his parents for part of his income. 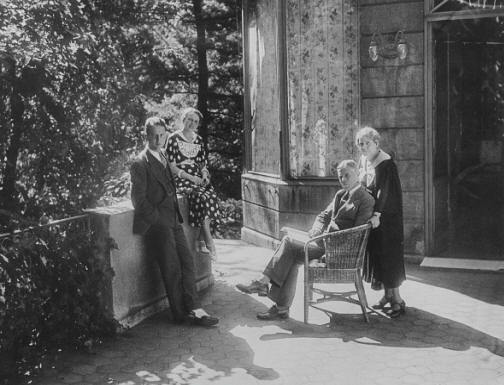 William Jr., Mattie and William Sr.
After he came home from Berlin, William "Bill" Jr. initially returned to teaching but he was drawn to political activism. In 1936, he testified in London in favor of protecting Spain’s republican government against attacks from fascist-backed rebels, and in 1937 raised money on behalf of homeless Spanish children of the Basque region. He served as chairman of the Japanese Boycott Committee, the American League Against War and Fascism, and the American Committee for Anti-Nazi Literature. In 1938, at age 32, William "Bill" Jr. sought the Democratic nomination for the House of Representatives in Virginia’s 8th congressional district, which was directly across the Potomac River from Washington, D.C. According to Martha’s memoir, Bill had decided, “direct political action was the only solution.” The seat was held by four-term incumbent Howard W. Smith, a conservative Democrat on the United States House Committee on Rules who used his position to obstruct parts of the Roosevelt Administration’s New Deal agenda. Dodd ran as an ardent supporter of the New Deal, with the support of Secretary of the Interior Harold Ickes and others in the President’s circle. William "Bill" Jr., however, was not known to many voters, had little campaign organization in the district, and very little political experience. Like several other New Dealers seeking to unseat “disloyal” incumbent Democrats in 1938 primaries, William "Bill" Dodd, Jr. lost badly. Smith outpolled Dodd by a 3 to 1 margin. He was later appointed to a position in the Works Progress Administration. In 1939, he became engaged to Susan B. Anthony II, fellow social activist and grandniece of famed suffragist Susan B. Anthony. Only four days after that announcement, however, the engagement was broken. 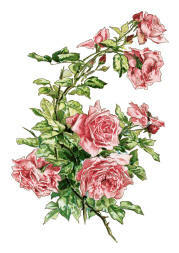 The following year William "Bill" Dodd, Jr. wed another social activist, Audrey Koolish, of Chicago. Audrey was born 12 Nov 1919, in Chicago, Cook County, Illinois. She was the daughter of Philip Koolish and Sara Allen. They had two sons, Thomas Allen Dodd (born in September 1941), and Peter Johns Dodd. 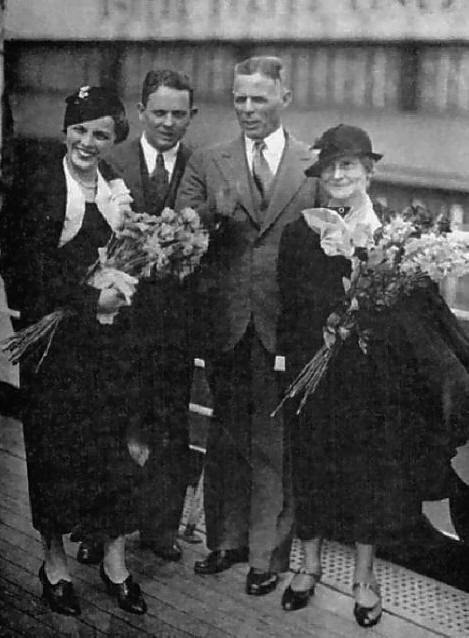 After his marriage to Audrey ended in divorce, "Bill" married Katharine Hubbard. After Ambassador Dodd's death in early 1940, William "Bill" Jr. established the William Edward Dodd Foundation. It was intended to advance his father’s Jeffersonian ideals, but it soon came under fire for financing U.S. Week, a periodical written and edited by leftists. 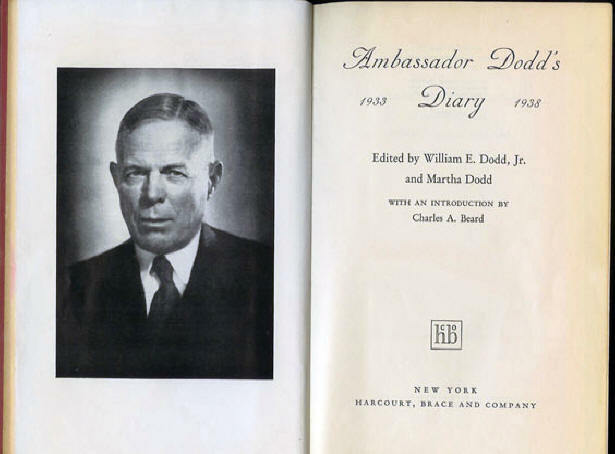 In 1941 Dodd and his sister co-edited “Ambassador Dodd’s Diary: 1933-1938,” based on the diaries their father kept during his tenure in Berlin from 1933 to 1938. In the 1940s, William Edward Dodd, Jr. became the target of an early congressional crusade against alleged communist sympathizers and subversives. A 1943 amendment to an emergency war appropriations bill deprived William "Bill" Jr. and two other federal officials of their salary and positions. Three years later, the United States Supreme Court declared the law’s provision to be an unconstitutional bill of attainder. Secretary of State Hull, a former opponent of his father, denied Bill a passport in 1941 when he tried to leave the country. It’s not clear, whether this action was out of spite or because Hull had suspicions about Bill’s loyalty. 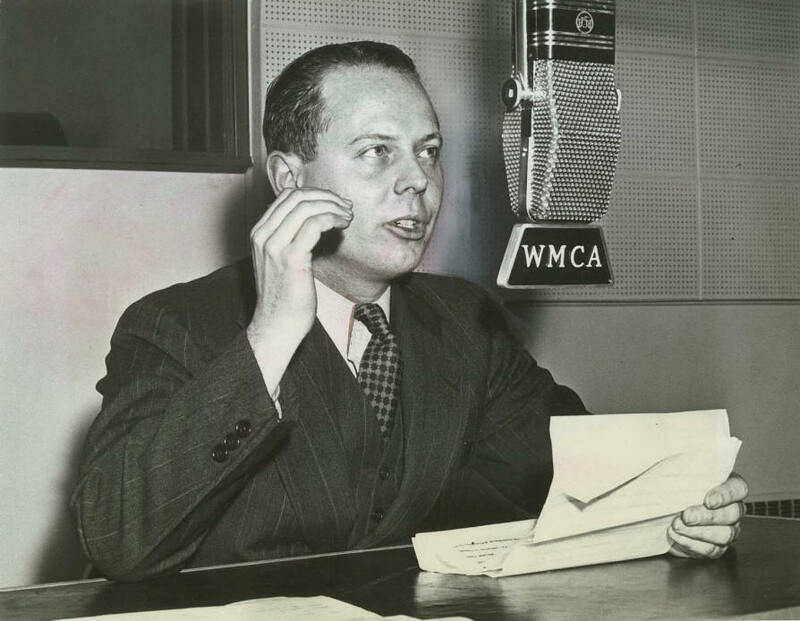 Around this time, Bill Dodd went to New York to work for the news radio station WMCA. Here he spent a year hosting a liberal international politics talk show. In 1942, Bill became an assistant editor with the Foreign Broadcast Monitoring Service, a branch of the Federal Communications Commission. His responsibilities included reading transcripts of foreign broadcasts to pick out items that would be of interest to various government departments. In 1942, the FBI began to take note of Bill after he started work with the Federal Communications Commission (FCC). On April 13, 1943, Bill sat for a hearing before the Kerr Committee, a sub-committee of the Dies Committee. The Kerr Committee was tasked with determining if Bill could still be considered fit for government service, based on his activities and political allegiances. Obviously, the Committee detected his instability, as they later judged Bill unfit for Government service and the FCC fired him. We know without a shadow of a doubt, that Bill Dodd's sister, Martha, was a Soviet spy. There is some information that suggests that he may have been working for the Soviet's, too, but he was never charged with espionage like his sister and her husband, Alfred Stern, were. William "Bill" Edward Dodd, Jr. moved to San Francisco, California, in 1950, where he worked as a clerk at Macy’s Department Store. William "Bill" Edward Dodd, Jr. died of cancer in San Francisco on 18 Oct 1952. He was 47 years old. He was buried at Rock Creek Cemetery in Washington D. C. near his parents.